These brilliant yellow beads are the result of a family technique developed two generations ago. 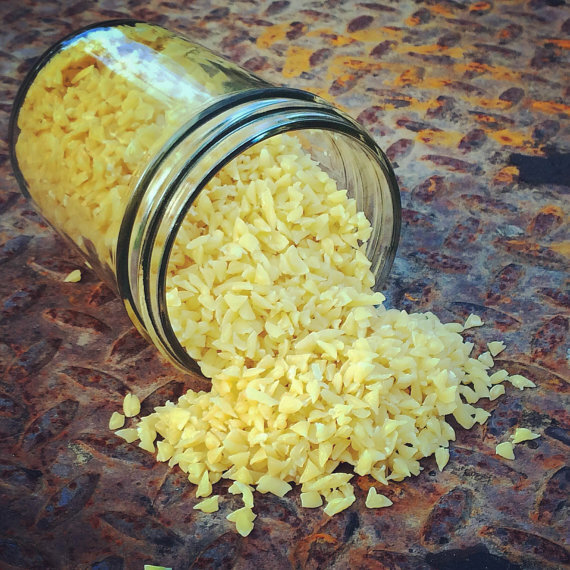 The wax beads are crafted using fresh wax directly from our hives. We filter our beads prior to molding without the use of harmful chemicals, and the result is 100% natural American made wax – perfect for cosmetics and candles. Received today and can’t wait to make some lip balm and candles. The strong scent of honey coming from the bag of beeswax beads is just amazing! Thank you! Love the beeswax! Smells great with a mild honey scent… just like real beeswax suppose to smell like.